Don’t limit your processing platform options by using a gateway that only supports a few platforms. Tranzcrypt.com supports over 50 credit card and check processing platforms. 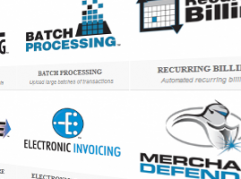 With these relationships you will be able to set up merchants with your choice of processing platform. How would you like to have a solution for your international clients that need access to international processing platforms as well as domestic. With Tranzcrypt.com you can can us our processor load balancing Advanced Transaction Routing Interface (ATRI) to have multiple platforms running through one gateway.